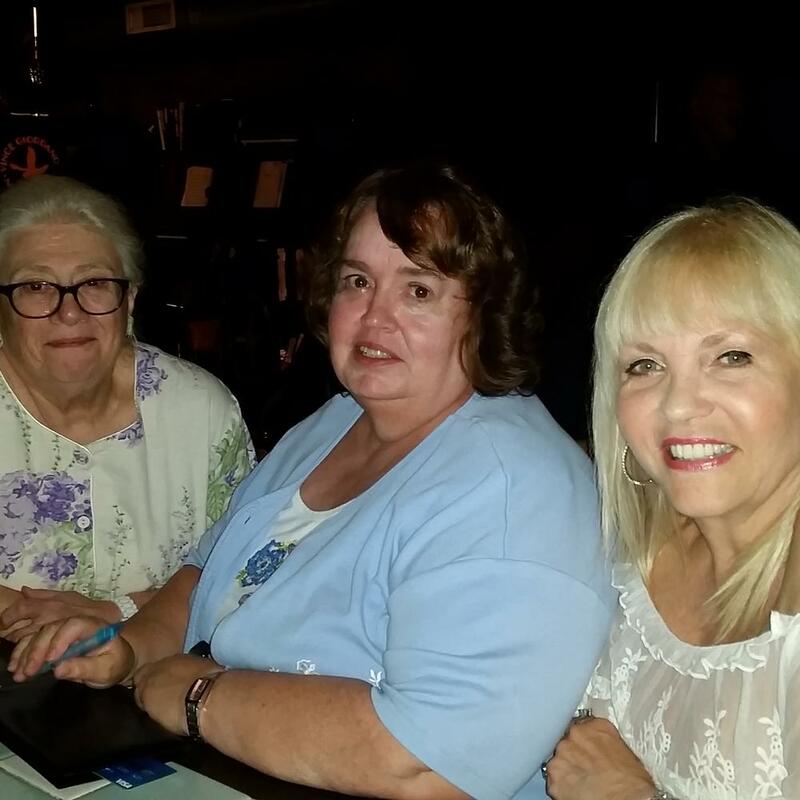 Bandleader, Vince Giordano, stops by The Lambs’ table to chat with Jo Marie Triolo (left) and Patti Dey. 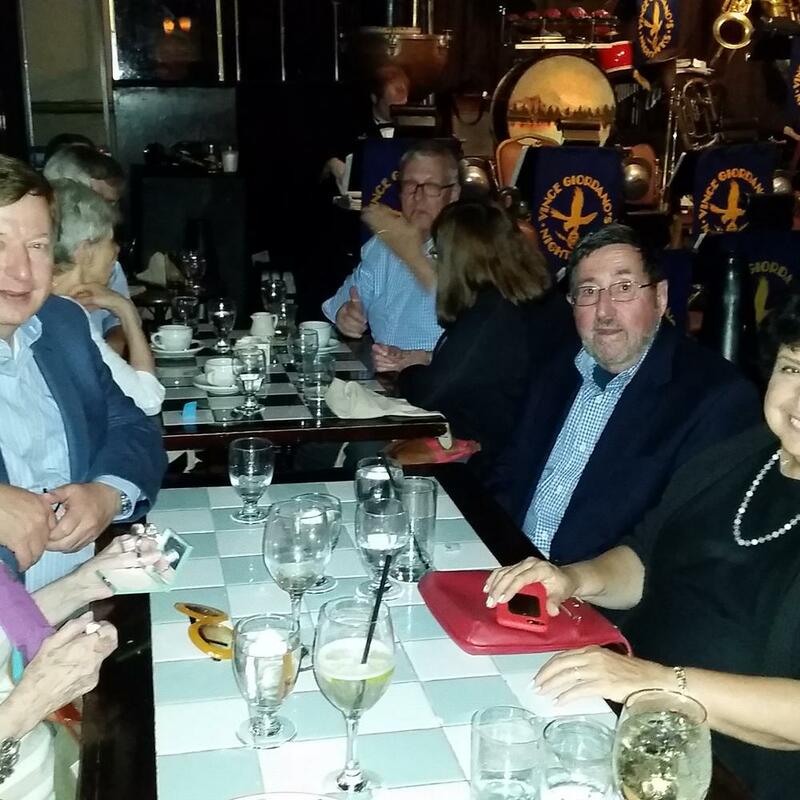 For members of America’s oldest theatrical club, THE LAMBS (https://the-lambs.org/), the evening would be a highlight of the summer season as members gathered at Manhattan’s chic IGUANA supper club for a night of fine dining, pleasantly accompanied by the big band music of the 1920’s &’30’s as splendidly performed by legendary band leader, Vince Giordano, and his sensational orchestra, The NIGHTHAWKS. 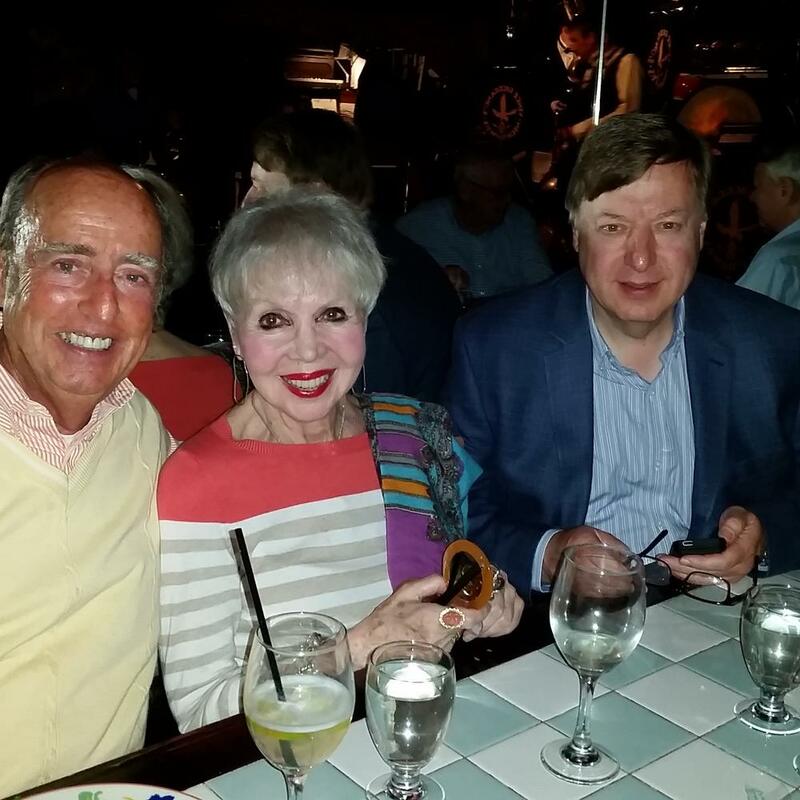 (L-R) Dow Bentley, Rita Hammer & Bob Tevis. Well-known about town, the band has been blowing the roof off of assorted Big Apple venues for many years, but on Monday and Tuesday night’s they perform from 8-11 p.m. for those lucky enough to have reservations at Iguana. 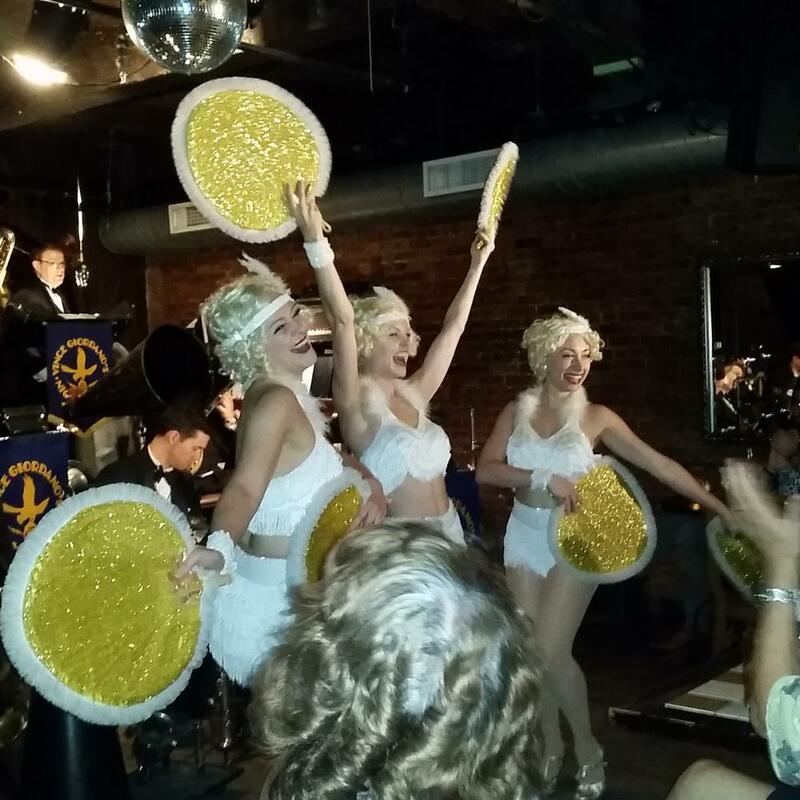 Better still, on the third Tuesday of each month, the group is joined by the HONEY TAPS dancers who spice up the evening with several sets of fun-filled and colorful tap dancing that really bring the Jazz Age and the Roaring Twenties to life. The Lambs had the good fortune to be there on just such an evening. With excellent Mexican cuisine and fine dancing, one could hardly go wrong, but it would be the band’s exceptional performance of the many rarely heard vintage jazz selections that would rule the night. A fine musician who has led his band for nearly four decades, Giordano is also a celebrated musical scholar and historian. 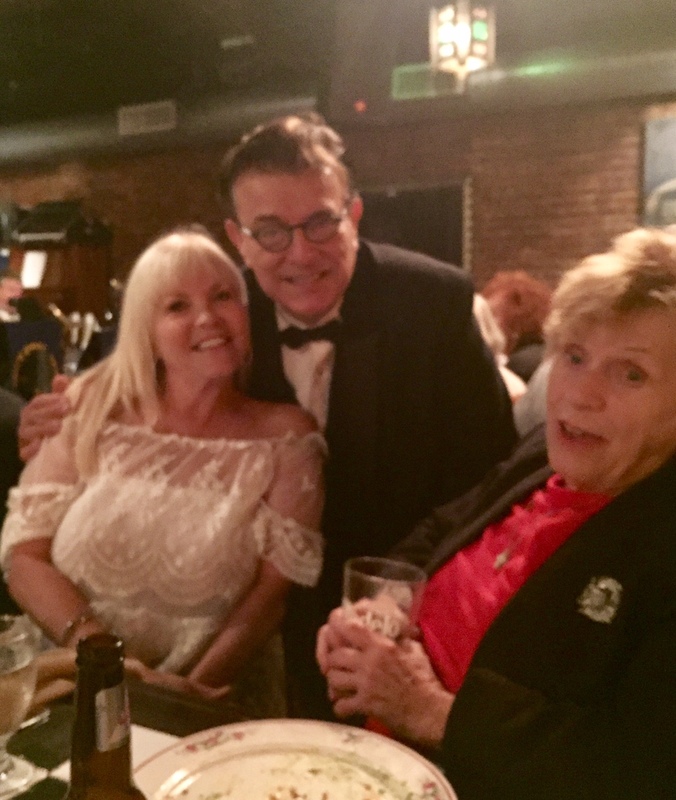 His vast collection of recordings and sheet music includes over 60,000 period band arrangements reflecting the musical age the Nighthawks bring to life with each performance. No wonder his incredibly talented orchestra was chosen to provide the Grammy award-winning soundtrack for HBO’s classic series, BOARDWALK EMPIRE. Lambs take to the dance floor. 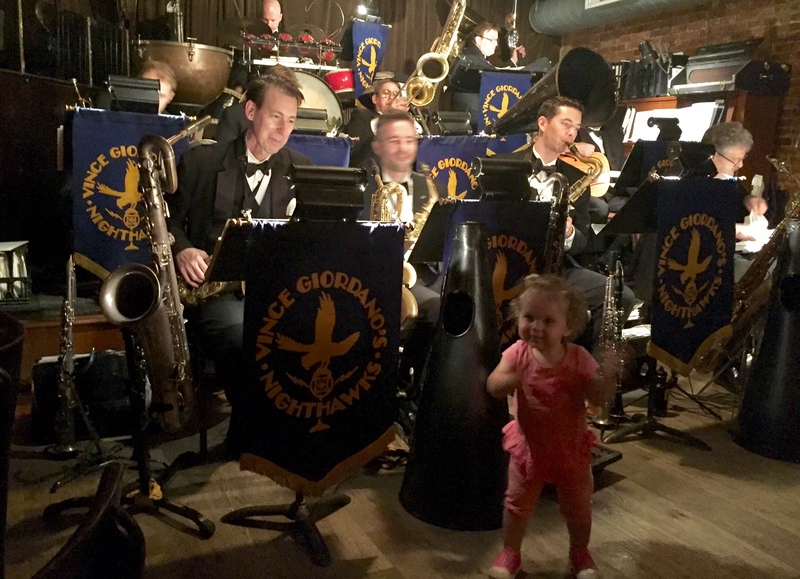 The Nighthawks’ youngest fan enjoys the music. 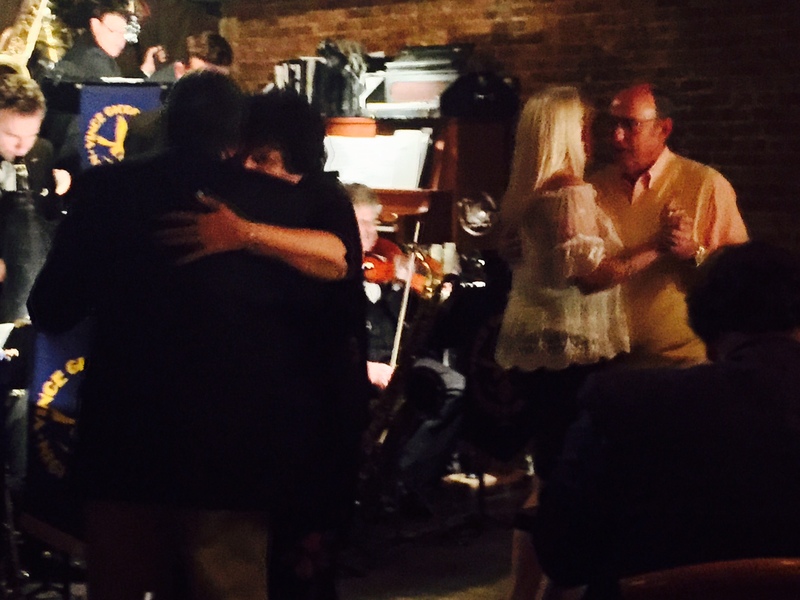 The Lambs not only enjoyed the music, fine food and tasty frozen Margaritas from the bar, but many enjoyed getting out on the dance floor to “cut a rug” accompanied by the magnificent sounds of the first-class orchestra. 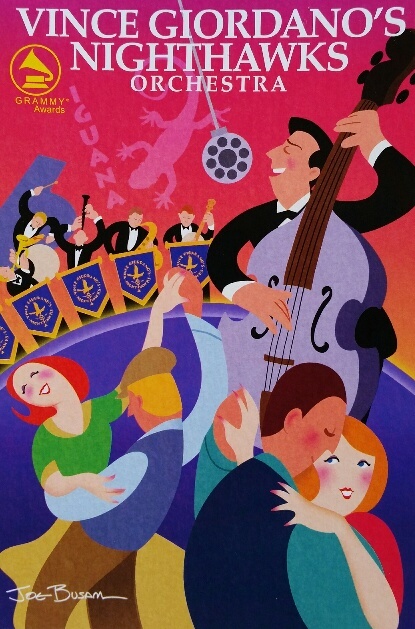 This entry was posted in BroadwayStars.com, Concert Reviews, Dance Reviews, New York Cabaret, Nightclubs, ThePeoplesCritic.com and tagged Boardwalk Empire, Honey Taps, Iguana Restaurant NY, Jazz Age, Roaring Twenties, The Lambs Inc., The Nighthawks, Vince Giordano. Bookmark the permalink. Quite the Fifth Avenue strutter; née, boulevardiere de la La Costa del Sol! I’m totally impressed from my little spot inside the Alamo! Signed– an admirer of your stuff in San Antonio.